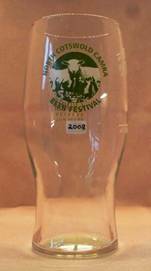 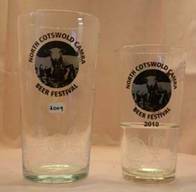 The Beer glasses that we provide at our beer festivals have become quite collectable. 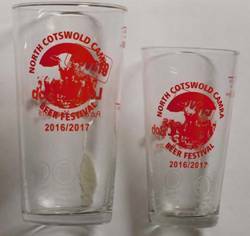 So this page gives details of these glasses and also details of the Staff Shirts that we wore at each festival. 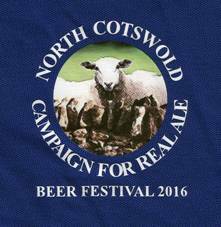 These shirts are now also put up for sale at some of our festivals, so you may have one. 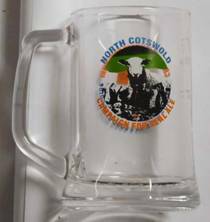 Sadly we are not able to provide any items that you might be missing, but you may see them come up for sale on internet auction sites. 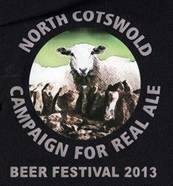 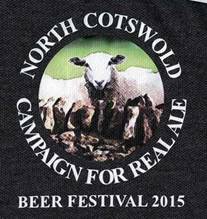 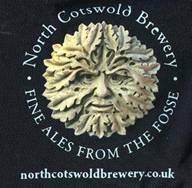 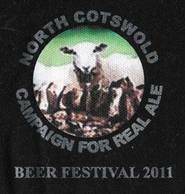 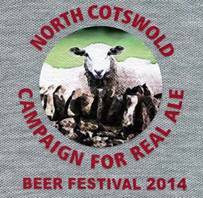 We issue new glasses and shirts each year, starting at our first Moreton Festival in 2008. 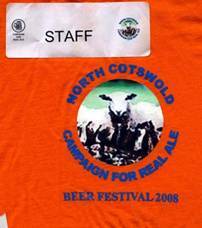 2008 Shirts were sponsored by the Wye Valley Brewery. 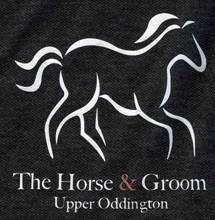 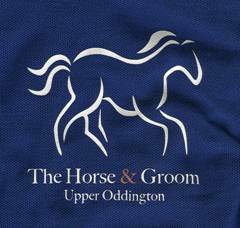 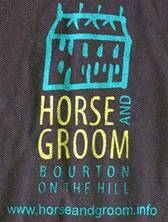 The Horse & Groom in Bourton on the Hill sponsored our shirts in 2009 and 2010. 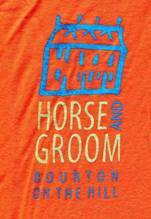 In 2009 a mix up with our order meant they were orange again. 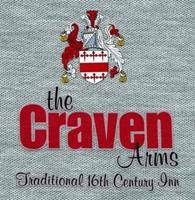 In 2010 we got the order right, and they were coloured maroon. 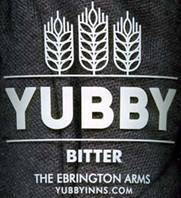 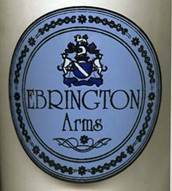 In 2011 the Ebrington Arms sponsored our glasses. 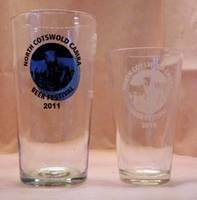 The pint glass was embossed in colour, and the ½ pint glass was etched with no colour. 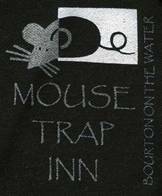 The Mousetrap in Bourton On The Water sponsored our 2012 staff shirts. 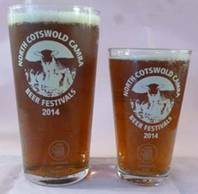 In 2014 The Ebrington Arms sponsored the glasses. 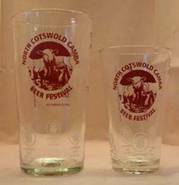 They are etched in a light shade of yellow, which shows up particularly well when the glasses contain beer. 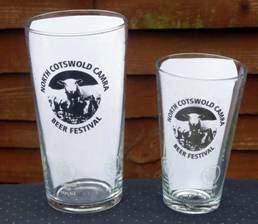 In 2015 The Plough Inn at Cold Aston sponsored the glasses. 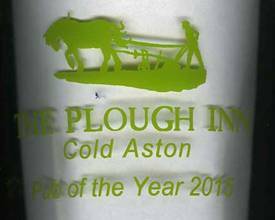 In 2016 The Plough Inn at Cold Aston again sponsored the glasses. 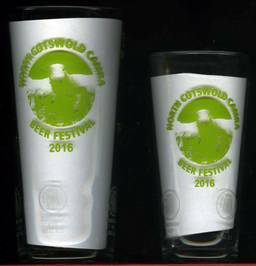 In 2016/7 The Craven Arms in Brockhampton sponsered the glasses. 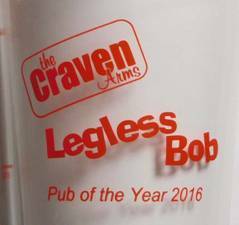 Legless Bob is in tribute to the pub Landlord, who sadly lost his long battle with diabetes. 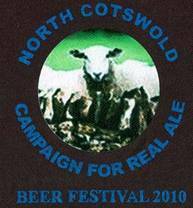 In the final stages, this involved him having to have his legs amputated. 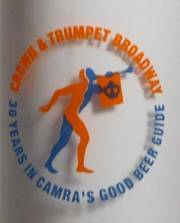 In 2017 the shirts were sponsored by the Crown & Trumpet in Broadway. 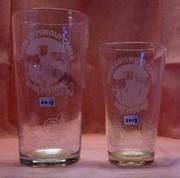 During 2017, the Crown & Trumpet in Broadway also sponsored a fine special souvenir half pint glass with handle, shown left. 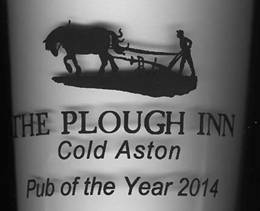 This also celebrates the pub’s fine GBG record.